Durban International Airport formally known as Louis Botha Airport is situated in Durban, KwaZulu Natal, South Africa. Durban International Airport is one of three South African airports, the other two being Johannesburg and Cape Town. 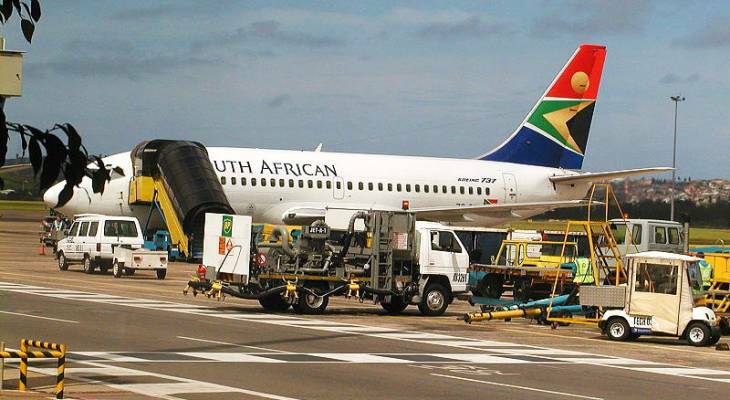 Durban International Airport is South Africa's smallest airport. Durban International Airport can be accessed from the N2 freeway and the M4 freeway, it has a north-south runway which is bored by the Umlazi Canal to the north and the industrial suburb , Prospection, to the south. Durban International Airport was moved to La Mercy in 2007 and it's name changed to King Shaka International (KSIA). The construction began in September 2007 and is expected to be complete in time for the 2010 FIFA World Cup. Once King Shaka International Airport is operational then the old Durban International Airport will be decommissioned. Airlines and Destinations for Durban International Airport for Domestic flights : 1Time (to Cape Town and Johannesburg), British Airways operated by Comair (to Cape Town and Johannesburg), Interlink Airlines (to Johannesburg), Kulula.com (to Cape Town, Johannesburg, Lanseria and Port Elizabeth), Mango (to Cape Town and Johannesburg), South African Airways (to Cape Town and Johannesburg), South African Airlines (to Bloemfontein, George and Nelspruit) and South African Express (to East London, Johannesburg and Port Elizabeth). Airlines and Destinations for Durban International Airport for International flights : Air Mauritius (to Mauritius), Emirates (to Dubai - starts 1 October) and South African Airlines (to Maputo). Durban International Airport (Closed) Information and Nearby Accommodation.